The Pakistan Veterinary Journal (Pak Vet J), a quarterly publication, is being published regularly since 1981 by the Faculty of Veterinary Science, University of Agriculture, Faisalabad, Pakistan. It publishes original research manuscripts and review articles on health and diseases of animals including its various aspects like pathology, microbiology, pharmacology, parasitology and its treatment. 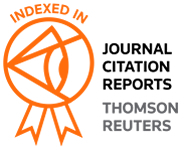 The “Pak Vet J” (www.pvj.com.pk) is included in Science Citation Index Expended and has got 1.217 impact factor in JCR 2017. Among Veterinary Science Journals of the world (136), “Pak Vet J” has been i) ranked at 75th position and ii) placed Q2 in Quartile in Category. The journal is read, abstracted and indexed internationally. Open access Policy: The management of the Pakistan Veterinary Journal ensures that the manuscripts published in it are freely accessible online/ via internet immediately upon publication, without any cost/barrier of subscription/registration to the readers universally.